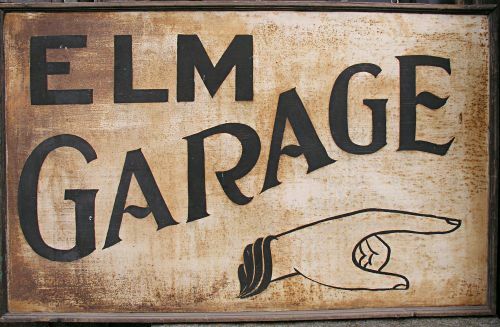 John D. Wahl Antiques - Painted Tin Sign With Pointing Hand Elm Garage Hudson Ma. Painted Tin Sign With Pointing Hand Elm Garage Hudson Ma. 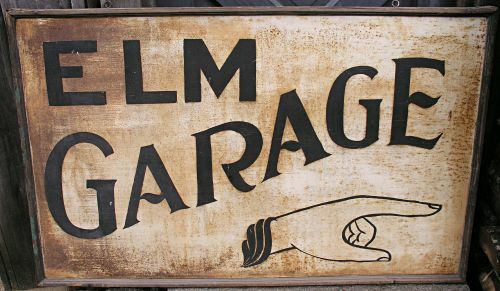 Tin automotive garage sign with large pointing hand. Probably from the 20`s or 30`s. Pine frame surrounds outer edge. 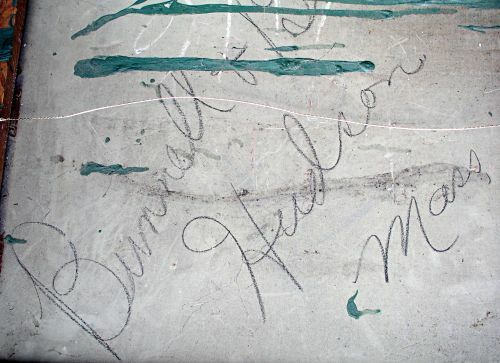 Info written on backside says Bunnell & --? Hudson Mass. 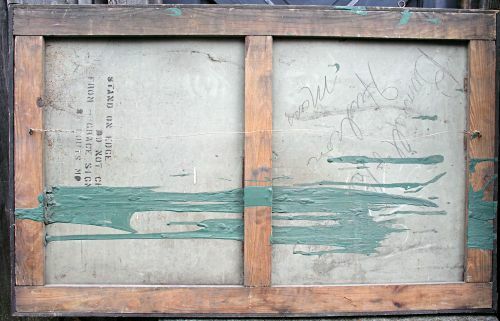 Dimensions: Measures 30" by 48"